Who doesn’t love a luxurious Lush mask once in a while? Unfortunately, although their products are great and amazing, they CAN be a little expensive, especially if you’re on a budget! Fortunately for us though, replicating Lush products is quite easy because they contain natural ingredients! This DIY Lush Volcano foot mask is an amazing example of what you can make at home with just a few simple ingredients! 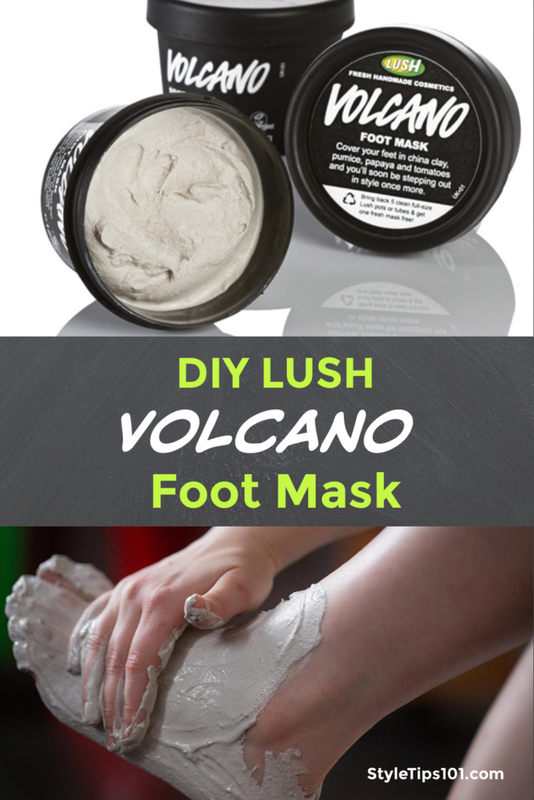 This DIY Lush Volcano foot mask recipe is pretty close to the real thing, and will leave feet silky smooth after just one use! Add all ingredients to a food processor or blender and pulse until a smooth, mask like consistency forms. If you find the mask to be too thick, add a little bit of aloe vera juice or water. If the mask is too watery, add some more clay powder. Can be refrigerated for up to 1 week! 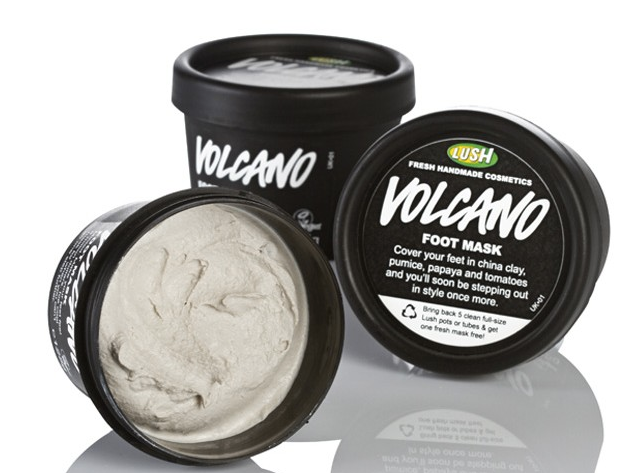 Before applying the Lush Volcano foot mask, soak your feet in warm water for about 20 minutes. To that water, add about half a cup of apple cider vinegar and a tablespoon of sea salt. ACV and sea salt will help cleanse, detox, and soften feet. You can also add a few drops of lavender essential oil to calm the senses and soften the feet! Rinse your feet off really well and dry with a towel. Apply the mask all over the feet and lay back and relax for about 10 minutes. Remove the mask with warm water. Use a pumice stone to scrub the heels and balls of the feet. Rinse again and pat dry. Use a homemade moisturizer to lock in moisture and keep feet nice and soft! Massage the lotion into the feet, and put on a pair of thick socks. Leave them on overnight and your feet will be silky soft! Use this mask once a week for soft feet!